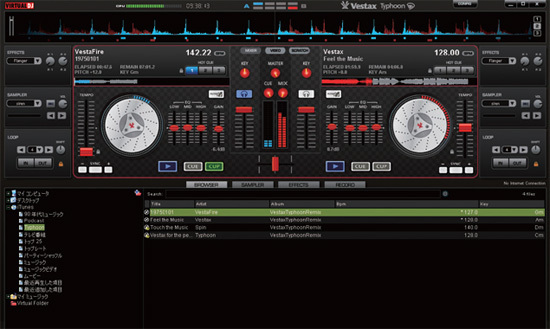 The Vestax Typhoon is a simple but capable little DJ controller, which comes with easy-to-use Virtual DJ software that is now designed to closely copy the look and feel of the hardware. 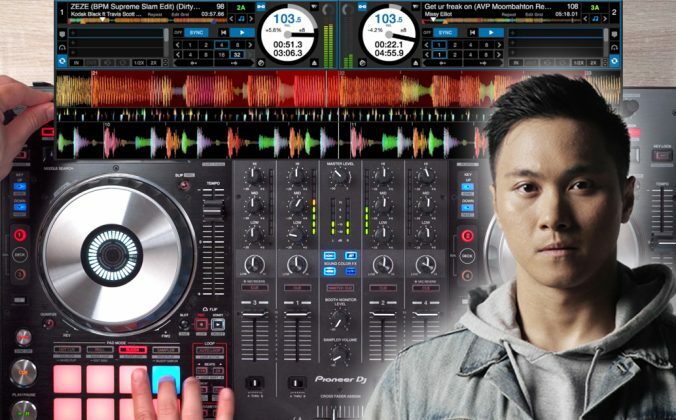 The compact, all-in-one Vestax Typhoon DJ controller now comes with a special version of Virtual DJ software, adapted to closely copy the layout and features of the hardware, that ought to make it a little simpler for the beginner DJ to get started with this solution. 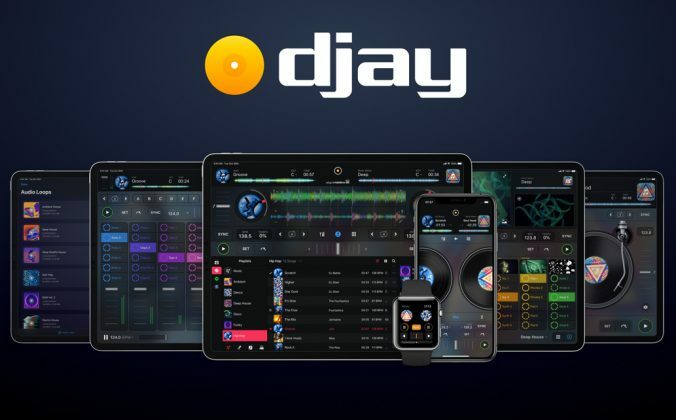 The move reflects a general trend in the industry of manufacturers and software houses tying their hardware and software ever more closely together (something which, to be fair, Virtual DJ has been involved with for longer than most). 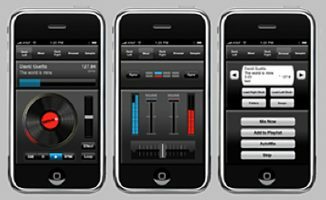 Digital DJ Tips understands that the Typhoon also comes with the option of Traktor LE software in addition to Virtual DJ Typhoon version, but we haven’t been able to confirm this. 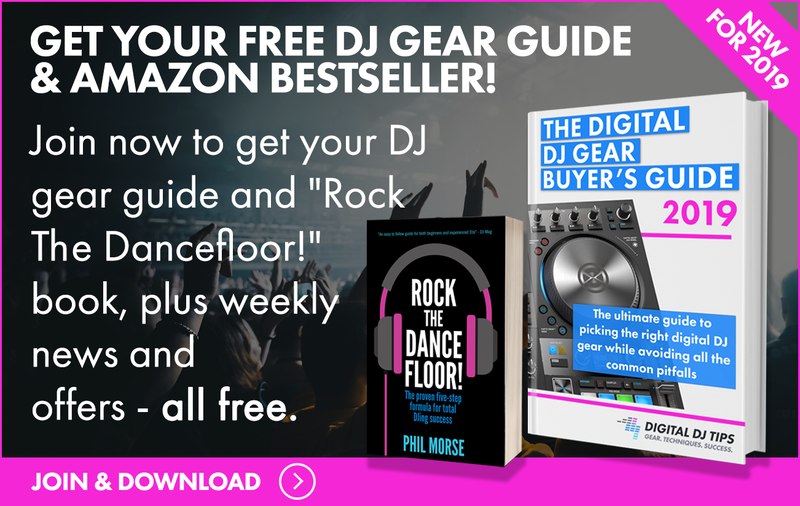 We recommend that you check before ordering which version you’ll be receiving, as Virtual DJ will not provide software to you if you inadvertently order the wrong version (very early incarnations shipped with just Traktor LE, for instance). 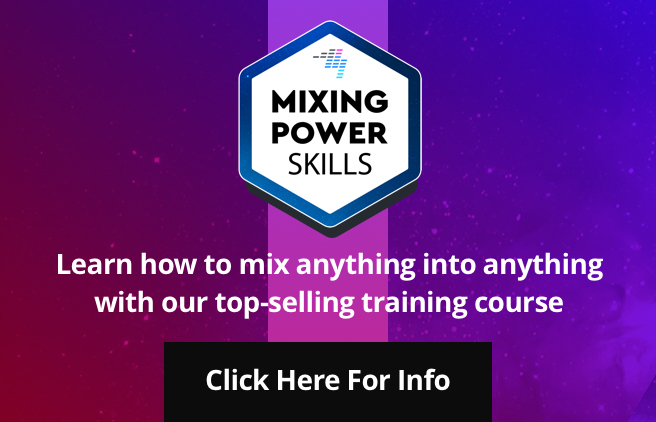 Also, should you be thinking of buying this controller, bear in mind that like nearly all cheaper controllers, you’ll have to upgrade your software to Pro should you wish to take advantage of more advanced features like recording your mixes or adding extra hardware. Is this the controller for me? 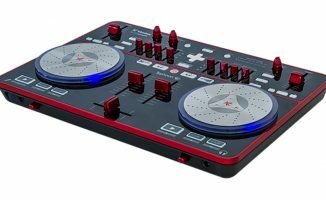 The Vestax Typhoon is an entry-level controller, distinguished by its size (it can easily fit into a 15″ laptop bag) and high quality jogwheels, which are similar to those on the VCI-100 and VCI-300 models, being dual-action and touch sensitive. 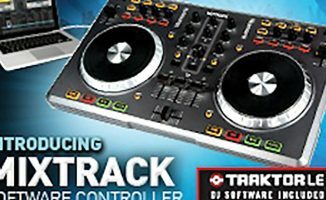 The Typhoon is a little more expensive (US$279 / £199 / €235) than the physically much larger Mixtrack Pro, a controller which also ships with a version of Virtual DJ. 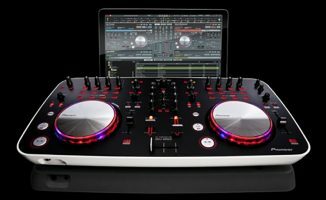 Both have built-in sound cards, so apart from a pair of speakers and a pair of headphones (and a laptop, of course), a controller like this is all you need to start DJing. 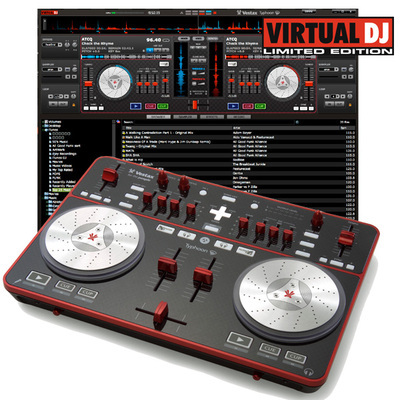 It might appeal to you if you want an easy to use, easy to store home DJ set-up that can be used for occasional gigs in public, or if you have seen the Vestax Spin for Mac and want a similar PC-style controller (it is essentially the same unit branded differently and with PC software, as the djay software that comes with the Vestax Spin is Mac only). 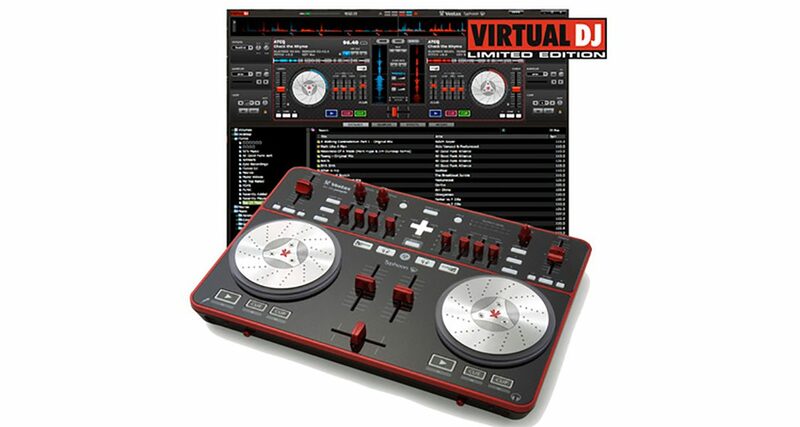 Are you thinking of buying the Vestax Typhoon? 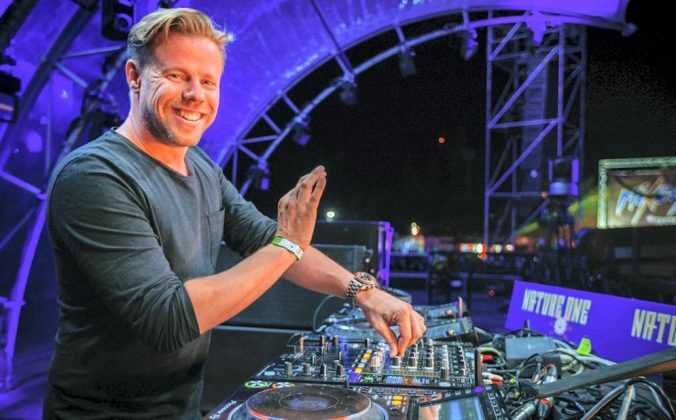 Do you already own one? 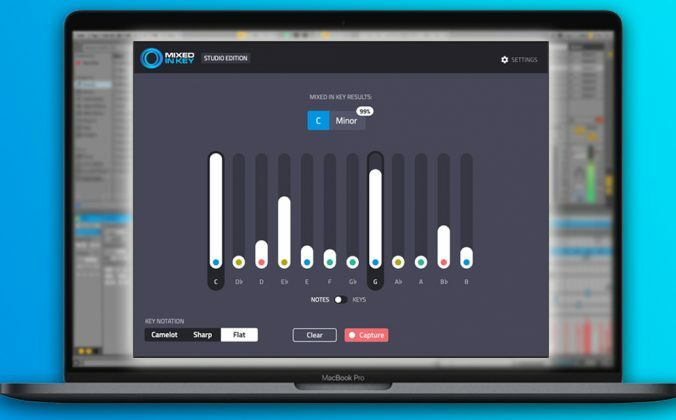 And what do you think of the trend of typing software and hardware ever closer together? 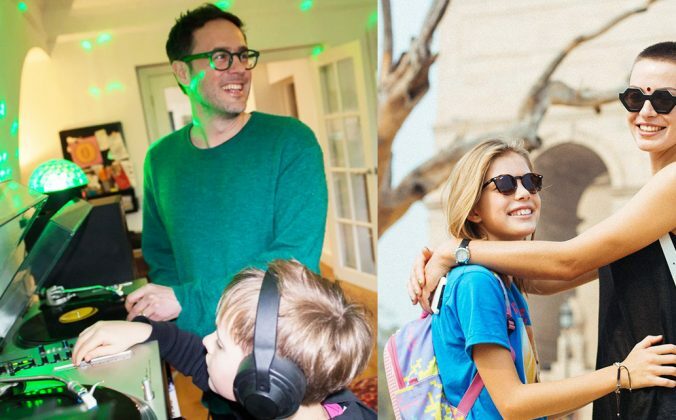 Let us know your thoughts and experiences in the comments below. also I know that sounds like a lot to get for just 400, but that’s just the amount I’ll be grabbing from my tax return for this, I’ll also have maybe 300 or so a week or two later spare from a paycheck to supplement this amount. 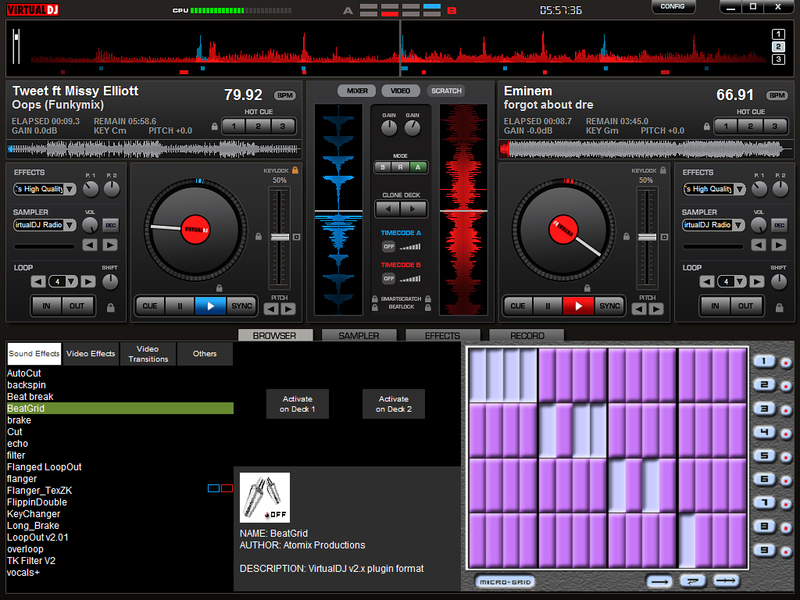 There are a lot of new controllers coming in 2011 and I imagine a lot of people will be upgrading to something new. I think this will do good things for the used market if you’re on a budget.